Bernard Partridge, the son of Richard Partridge, a teacher of anatomy at the Royal Academy, was born in London in 1861. After being educated at Stonyhurst he entered an architect's office and then a firm of stained-glass designers. Partridge also acted in several plays and for a time he could not decide between the theatre and art as a career. 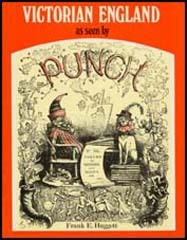 Partridge was first invited to contribute to Punch in 1891. In these early drawings he concentrated on illustrated reviews of plays. The following year Bernard Partridgewas asked to become a staff cartoonist with the magazine. He initially refused as he still hoped to make it as a serious artist. Partridge's work reflect his theatrical background and as one critic pointed out, his cartoons often had "a massive figure, coming down to the footlights". In 1901 Partridge replaced John Tenniel as the chief cartoonist at Punch. Bernard Partridge held conservative views and was especially harsh on the trade union movement and the Women's Social and Political Union. Partridge was knighted by Stanley Baldwin, the Conservative Prime Minister, in 1925 and the following year gave loyal support to the government during the General Strike. 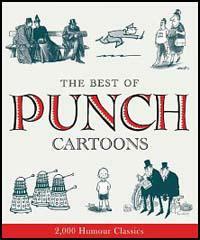 Although many critics believe that Partridge was Punch's best ever artist he always doubted his ability. In a letter he wrote in 1897 he told a friend that he considered much of his work to be "second-rate" and that he was "little more than a hack draughtsman." Sir Bernard Partridge died in 1945. (1) Bernard Partridge, letter to Canon A. Rhodes in 1939. I am under no illusions about my work, which I know to be really second-rate stuff. The subject matter is not often of my own conceiving and as to the execution it resolves itself into a strenuous stand-up fight against a rigid time-table so that I feel I am little more than a hack draughtsman. I believe a cartoon needs a simple statement of theme, with a corresponding treatment making an instant and direct appeal to the reader; a sense of drama and of humour with powers of draughtsmanship and facility in portraiture, catching the essentials of a face in a few mocking lines. (3) In his autobiography, David Low compared Bernard Partridge with other cartoonists such as James Gillray, Thomas Rowlandson, John Leech, John Tenniel, Leonard Raven-Hill and Richard Doyle. Some critics of my work took the view that a satirist should defer to the finer feelings of his readers and respect widely held beliefs. I explained that whatsoever might be the duty of a satirist, it certainly could not be too reflect, confirm or pander to popular beliefs. Rather the opposite, for it was popular beliefs themselves that were frequently the aptest material for the healthiest satire. The circumspect cartoons of John Leech and John Tenniel were a sign of the times; so also were the respectful pencillings of Dicky Doyle. I took as a standard the works of Gillray, Rowlandson and company, who were generally agreed to be the old masters of caricature. Bernard Partridge and Leonard Raven-Hill were ultra-conservative, even reactionary. Partridge, the last of the cartoonists of the Victorian grand manner. His knighthood troubled me, for I could not think that critics or commentators ostensibly of satirical temper on public affairs should accept, like other men, the insignia of trammelling loyalties. Partridge, as the inheritor of the Tenniel tradition in Punch, specialised in cartoons dealing with national occasions, such as laying laurel wreaths on the tombs of dead statesmen, congratulating epic sportsmen, extending the helping hand in disasters, etc., in which he represented the Anglo-Saxon people by Britannia, a massive matron moulded according to the Graeco-Roman idea of beauty.